A Missouri farmer has been charged with ripping off food companies and consumers by falsely marketing more than $140 million worth of corn, soybeans, and wheat as organic. Observers have called the scale of this fraud “jaw dropping” and likely the largest case of its kind involving US farmers. The level of deception in the organic industry has reached epidemic proportions: a USDA study found that 40% of all organic food sold in the US tested positive for prohibited pesticides. This is an outrage, but the USDA shows no signs of deviating from business as usual. 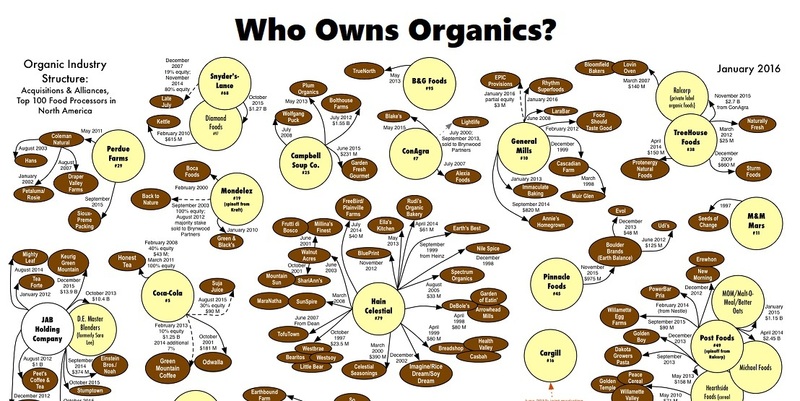 The biggest error of the organic community in the 1980ties was to push for a USDA certification in the hope that this would facilitate the big players to enter organics and expand the organic market. Organic certification should have remained farmer / consumer controlled certifcation agencies. I live in the middle of Amish country in Ohio. Now Holmes and Wayne County are the largest Amish community in the USA. I know them well and many are good friends and neighbors. Problem is they have no idea of what organic is. I often give car transportation to local Amish and they have the notion that to make a food organic it must just be raised with manure. Behind the barn I often see many pesticides and herbicides that I wouldn't even use. They sell their produce on the market and no one even questions their methods. If you want good organic produce you would do well to make sure it has some type of independent certification. Don't get me wrong many of those doing certification are just as sneaky as my neighbors. These days few of us even know what is in our soil to ensure what we grow is free of pesticides and herbicides, so that back yard garden may not even be clean and free enough to be organic. don't believe anyone is telling the truth anymore. Good to know! We buy Perdue chicken and other organics from our health food store hoping they are not lying! Worked at big health food store and learned not all things in a health food store is healthy! Many things had canola oil and other chemicals in them, it was an eye opener! THANK YOU FOR THE HELPFUL INFO!!! KEEP UP THE GOOD WORK!! way to rip off consumers. Nothing surprising here. Their goal was always to foster the illusion of providing wholesome organic products while continuing to push the same toxic crap that they have always pushed. The US needs to have a completely independent body like that exists in the UK (i.e. The Soil Organisation) to manage organic standards. Those who are really interested in having organic standards should be organising to foster their own organic standard.